Our professional asbestos management services make it easy for you to get reliable asbestos testing, complete a remediation safely, and secure final clearance quickly. Asbestos is a hazardous material, so there’s no wonder that many state and federal regulations exist to protect people from exposure to it. 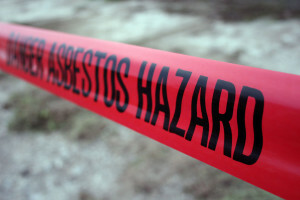 When it comes to complying with these regulations, you absolutely must get professional asbestos management services, to ensure that protocols are followed to the letter at every stage of the asbestos abatement process. While an experienced professional may be able to recognize common asbestos-containing materials at a glance, a visual asbestos inspection alone is not sufficient to meet the requirements of the state of California. Samples must be taken so that a licensed lab technician can examine them with a polarized light microscope and determine whether or not they pose a health risk. Testing is relatively inexpensive, but it must be done at one of the 38 facilities certified by the state of California. If asbestos is found, technically you have three options: remove it, encapsulate it with a sealant, or leave it alone. However, in some cases not all options will be available. For example, if asbestos is found in a public building or in a space that will be disturbed during a construction or demolition project, it must be removed. California requires separate training and certifications for the five categories of personnel that work on asbestos projects: workers, supervisors, building inspectors, management planners, and project designers. You must ensure that all workers you hire for the project are fully trained and certified, and the easiest way to do this is to allow a company providing asbestos management services to assist you in checking certifications. When you have certified personnel, you know no one will break protocol and do something dangerous like sweep asbestos dust with a broom, fail to wear their respirator, ignore decontamination procedures, or hire a disposal contractor that is not licensed to transport asbestos. Next time you’re faced with an asbestos-related project, let the professionals handle compliance with all the red tape, and rest easy knowing your project is in expert hands.